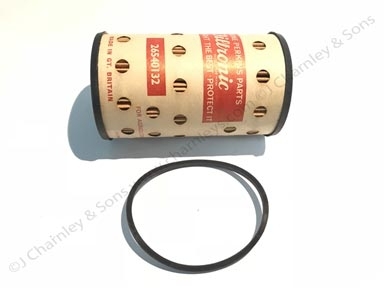 AJR4135 Paper Element Oil Filter. 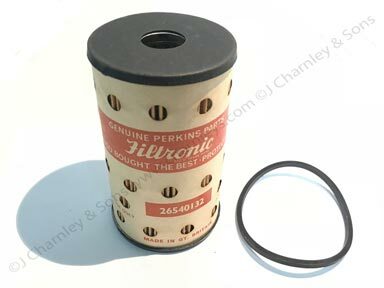 Genuine Leyland-Perkins filter. 41/2" inch (114mm) long, 23/4" inch (69mm) diameter , 3/4" inch (20mm) hole at both ends. See item number 7 in the parts diagram. 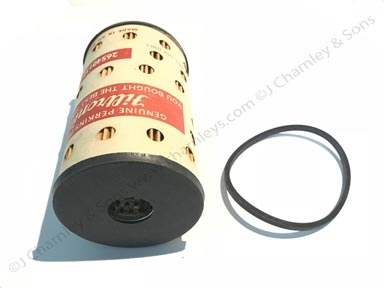 For later engines use AHM2094 'Spin on' Filter.